Product prices and availability are accurate as of 2019-04-11 08:25:15 EDT and are subject to change. Any price and availability information displayed on http://www.amazon.com/ at the time of purchase will apply to the purchase of this product. 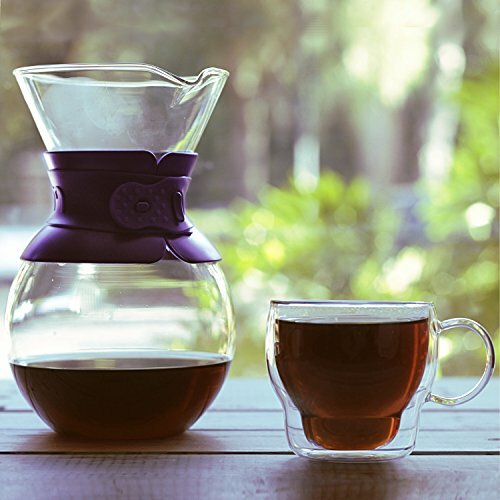 Simple function and visual elegance combine for the optimum extraction of full rich-bodied coffee with this Pour Over coffeemaker from Bodum. Featuring a glass carafe for long lasting durability, it has a reusable stainless steel mesh filter. 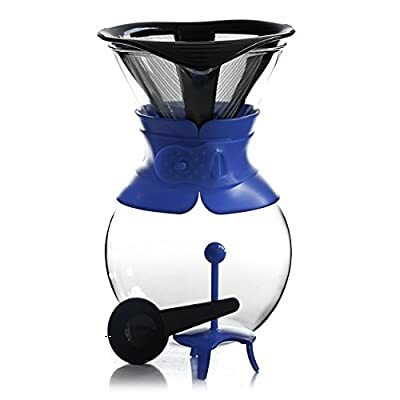 This unique style coffeemaker allows you to make coffee as strong as you like, without the bitterness. Simply place coffee in the filter inside the coffee maker, and pour in boiling water. A coffee scoop spoon and a carafe cap are also included. The Bodum Pour Over coffeemaker is dishwasher safe for easy clean up.